could spur improvements in patient care for those suffering with dual diagnosis. 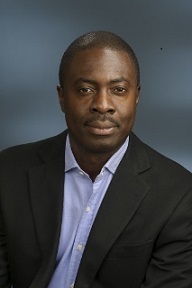 Kofi Bonnie will present findings from his research conducted at St. Paul’s Hospital at Douglas College’s Health Science Speaker series on Feb. 15. Bonnie’s work identifies characteristics of clients with dual diagnosis and those repeatedly admitted to acute psychiatric units. Bonnie noted that little is known about these specific clients and his aim is to provide evidence-based care that will improve outcomes for patients. Bonnie, who was the principal investigator on this research, is currently working with the Director of Mental Health at St. Paul’s Hospital and community stakeholders to implement resource allocation based on his findings. The College’s speaker series invites a variety of experts to discuss health issues with a regional, national and global impact. It is free and open to the public. Bonnie’s talk will be held at 10am at Douglas College’s Coquitlam campus, 1250 Pinetree Way, in room A1470.